Hey dolls! Today I have photos for you of the spring Zoya Awaken collection along with Monet, the top coat that was also released. The Awaken collection features two cremes and four shimmers in shades perfect to welcome the spring season. 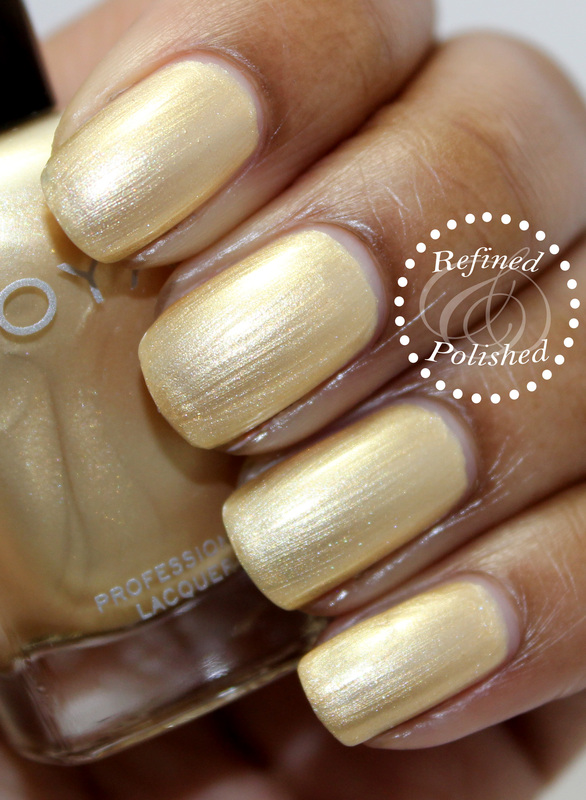 Zoya Brooklyn is described as a white-gold shimmer metallic. The formula was good and applied nicely in two coats. I would recommend using thin, light coats to minimize visible brushstrokes. I wish the color was a little more saturated, like the others in this collection. 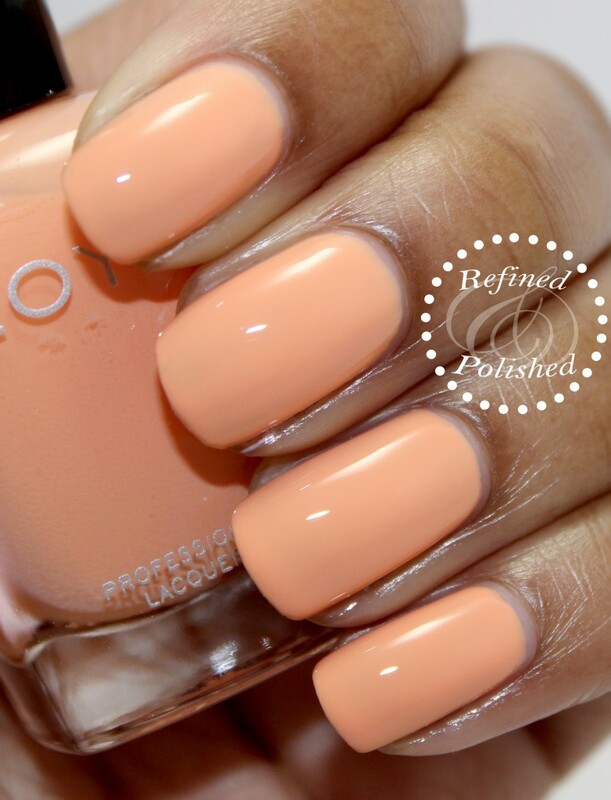 Zoya Cole is described as a peach whisper creme that was initially released in the Peter Som SS14 collection. I really love this shade and I don’t think I have a peach in my collection similar to this one. Cole would be the perfect shade for a pair of pants! The formula was thin, but not runny. Cole was still slightly streaky at two coats, so three were used in the photos below. Zoya Dillon is described as a green mint metallic shimmer. This is another one that I love. I actually love all of the saturated metallics in this collection. Mint was one of my favorite shades last spring and I’m pretty sure it’s still near the top of my list. The formula was great; it applied easily and was opaque in two coats. 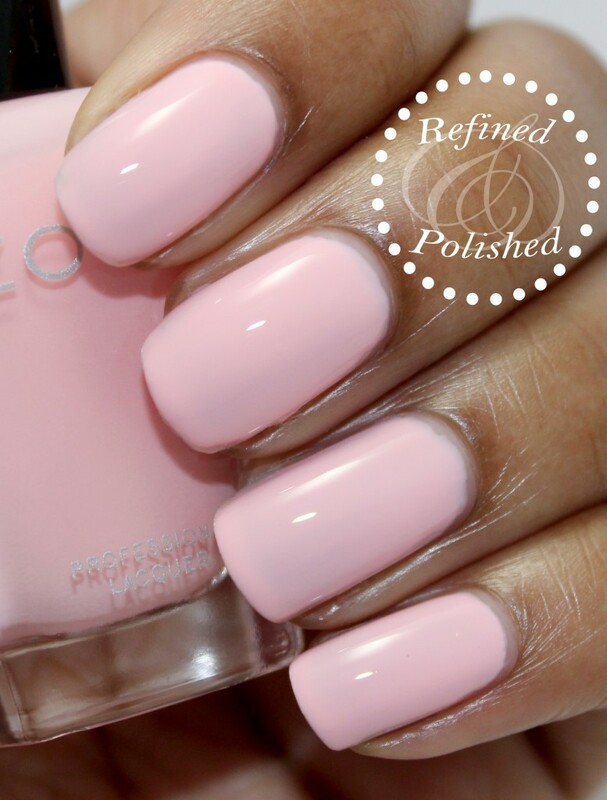 Zoya Dot is described as a pink petal creme and was originally released as a part of the Zang Toi SS14 collection. This may be surprising, but I really don’t have many soft pinks like this one. Dot’s formula was similar to Cole’s; it was thin, but not runny and opaque in three coats. Zoya Hudson is described as a purple orchid shimmer metallic. Love this shade as well. I’m actually wearing it right now as I type this post. The formula was great and applied nicely in two coats. 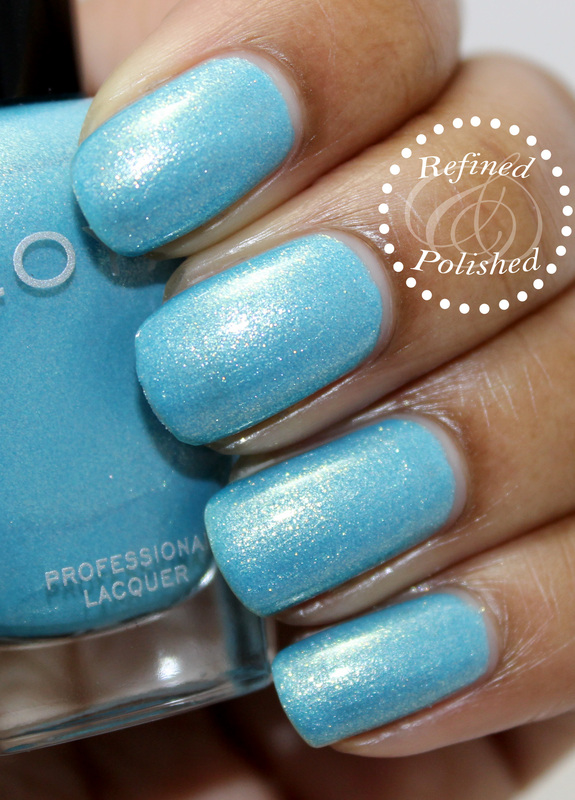 Zoya Rebel is described as a blue sky shimmer metallic. Once again, love! Zoya never really disappoints me with these shimmer metallics. Rebel’s formula was great and opacity was achieved with two coats. 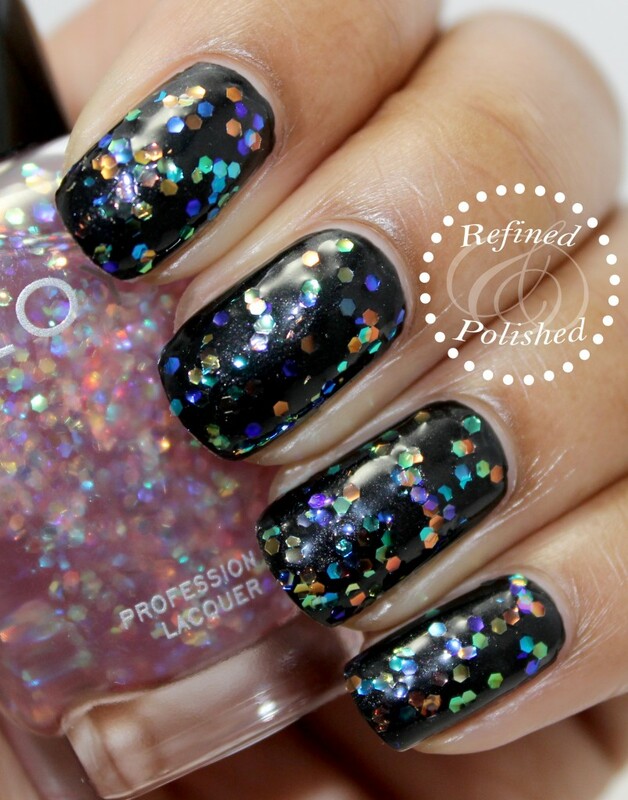 Zoya Monet is described as a multi-color, cellophane holographic topper. I’ve seen Monet swatched over the polishes in this collection, but I wanted to see it over a darker shade. I usually love a good iridicent top coat, but Monet’s formula made it hard to enjoy. The formula was thick and somewhat goopy. I ended up dabbing one coat of Monet on top of Zoya Raven. Overall, the Zoya Awaken collection is a great one in my book. I love when typical pastels are amped up with shimmer. While Monet’s formula was not pleasing, the end result does look great. The Awaken collection is available here for $9 each and Monet is $10. 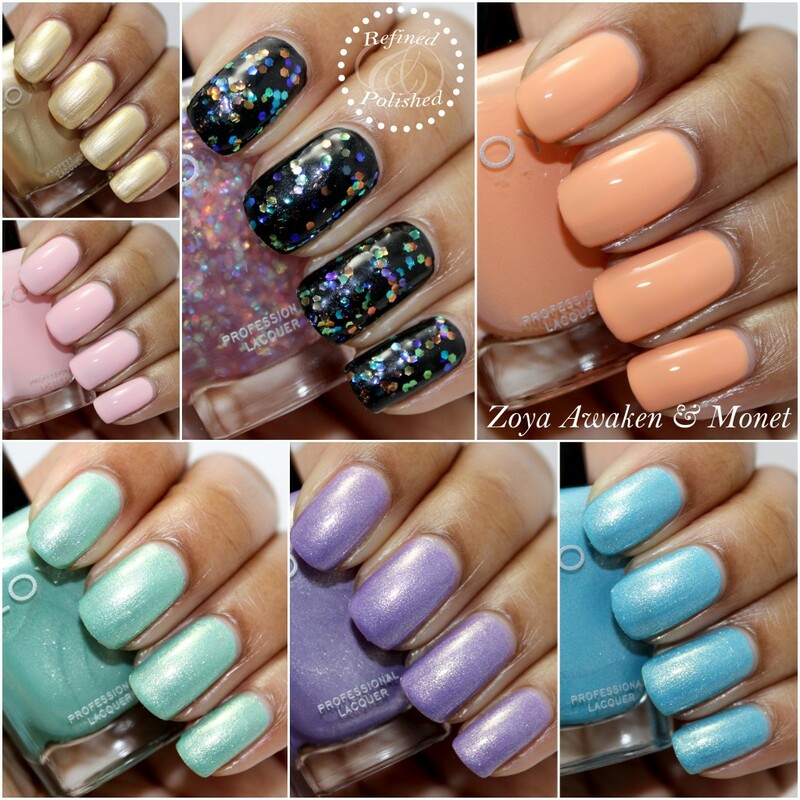 Be sure to keep up with Zoya on Facebook, Instagram, and Twitter for promos and new releases.